Bridgewater Associates, the largest hedge fund in the world with $169 billion in assets under management, was launched by Ray Dalio in 1975. The mega-successful hedge fund is a global macro firm that uses quantitative investment methods when seeking for investment opportunities worldwide. Bridgewater Associates is well-known for its quirky corporate culture, which is believed to stand behind the firm’s unique results. It’s worth noting that Ray Dalio’s firm was among the very few hedge funds that delivered positive performance during the financial crisis of 2008. As stated by its most recent 13F filing, Bridgewater Associates manages a public equity portfolio worth $10.83 billion as of June 30, whereas the top ten holdings of the firm account for 87.94% of its entire portfolio. 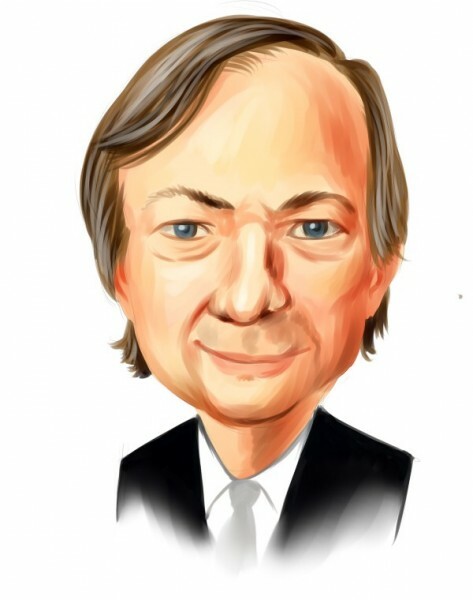 In the following article we’ll discuss Ray Dalio’s top three holdings at the end of the second quarter, which are Apple Inc. (NASDAQ:AAPL), Coca-Cola Company (NYSE:KO), and Monsanto Company (NYSE:MON). Why are we interested in the 13F filings of a select group of hedge funds? We use these filings to determine the top 15 small-cap stocks held by these elite funds based on 16 years of research that showed their top small-cap picks are much more profitable than both their large-cap stocks and the broader market as a whole; yet investors have been stuck (until now) investing in all of a hedge fund’s stocks: the good, the bad, and the ugly. Why pay fees to invest in both the best and worst ideas of a particular hedge fund when you can simply mimic the best ideas of the best fund managers on your own? These top small-cap stocks beat the S&P 500 Total Return Index by an average of nearly one percentage point per month in our backtests, which were conducted over the period of 1999 to 2012. Even better, since the beginning of forward testing at the end of August 2012, the strategy worked just as our research predicted and then some, outperforming the market every year and returning 123.1% over the last 33 months, which is more than 66 percentage points higher than the returns of the S&P 500 ETF (SPY) (see more details). Even though Bridgewater reduced its stake in Apple Inc. (NASDAQ:AAPL), the tech giant continues to remain the fund’s top stock pick for the third quarter of this year. Ray Dalio’s fund sold slightly more than 27% of its stake in Apple during the second quarter, ending the quarter with 531,497 shares valued at $66.66 million. The shares of Apple have gained nearly 3% year-to-date, however, the stock has embarked on a steady downward trend since the company posted its financial results for the fiscal third quarter of 2015, ending June 27. The market has lost confidence in Apple’s business model over the last few weeks, and some of the reasons were pinpointed before the latest crash by Insider Monkey’s founder Inan Dogan. In the meantime, Apple posted revenue of $49.6 billion for the quarter, compared to revenue of $37.4 billion reported a year ago. At the same time, the company’s net profit came to $10.7 billion or $1.85 per diluted share, compared to $7.7 billion or $1.28 posted in 2014. Hedge fund Fisher Asset Management, founded by Ken Fisher, is among the bullish hedge funds on Apple Inc. (NASDAQ:AAPL) within our database, owning a stake of 11.01 million shares as of June 30.